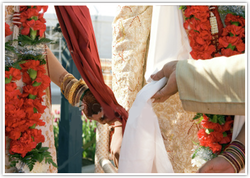 POORNAWAD LUCKY SPOUSE ASSOCIATION - welcome to the MAURITIUS POORNAWAD HOMEPAGE..
We the poornawad family truly believe in the institution of marriage and as such have been striving to create a harmony between husband and wife. In present time broken homes and broken marriages is the order of the day and finding an ideal life partner seems to be a million dollar question. We as youngsters have a social responsibility of creating awareness about choosing and living up to a truly married life. We need to seriously think about an ideal wife and an ideal husband. We have been growing up with utter wrong notions about the concept of responsibility of husband and wife. A truly happy married life lies in the fine semblance between the two individuals. Each one might have his standpoint about an ideal wife and an ideal husband. The basic factors that help to preserve this institution lie in the most important virtue of tolerance.